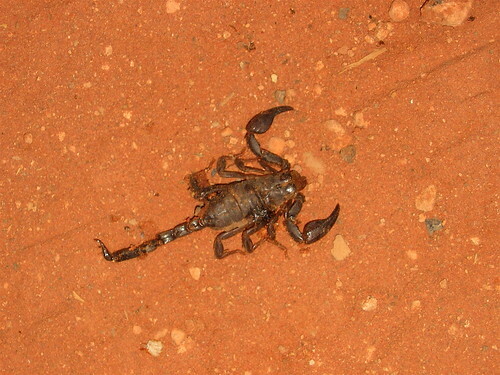 I found this guy right under my sleeping bag when I woke up at Kings Creek Station, Northern Territory during my outback trip in November. The worst part was that I had been walking around with bare feet all night because the sand was so soft and warm. yeah that would have freaked me out. not an insect guy at all.